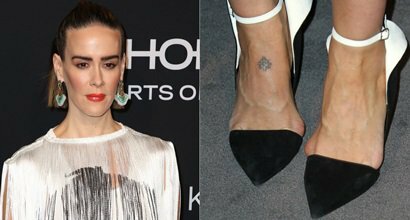 See the best outfits and shoes worn by Sarah Catharine Paulson, an American actress born in Tampa, Florida, on December 17, 1974. 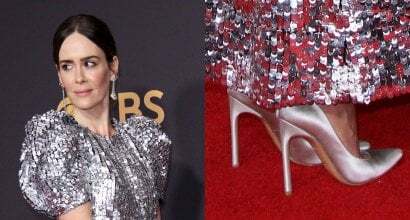 Sarah Paulson wears shoe size 9 (US) and her estimated net worth is $8 million. Wife: While not yet married, Sarah has been dating actress Holland Taylor since 2015.
Who is Sarah Paulson dating? Despite a 32-year age gap, Sarah has been dating Holland Virginia Taylor (born January 14, 1943), an American actress and playwright, since 2015. How old is Sarah Paulson? She was born on December 17, 1974, in Tampa, Florida. Sarah turned 44 on December 17, 2018.